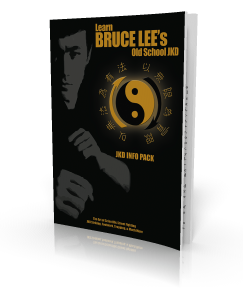 – What is Old School JKD? 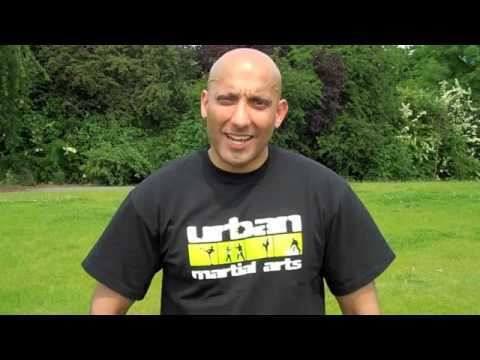 – Is JKD the highest form of fighting? When we parted after several days together, he looked in my eyes and repeated advice I had been given earlier: ‘Walk your talk, my brother. Walk your talk.’ Walking the Martial Way can never just be verbal adherence to a set of beliefs. It is a way of doing, a way of being and a way of becoming. What is Jeet Kune Do (JKD)? To set the record straight, I have NOT invented a new style, composite, modified or otherwise, that is, a style or method set within distinct form and laws apart from “this” style or “that” method. On the contrary, I hope to free my followers from clinging to styles, patterns or molds. More about this later, but in the meantime, do remember that the term Jeet Kune Do is merely a name used, a mirror in which we see ourselves. The brand name is really nothing special. Unlike the traditional approach, there is not a series of rules, a classification of techniques, and so forth, that constitute a so-called JKD method of fighting. To begin with, let me be the first to tell you that there is no such thing as a method of fighting. To create such a method is pretty much like putting a pound of water into wrapping paper and shaping it – although [many] futile arguments exist nowadays as to the choice of colors, textures, and so forth, of the wrapping paper. Briefly, JKD is not a form of specialized conditioning with a set of beliefs and a particular approach. So basically it is not a “mass” art. Structurally, it does not look at combat from a certain angle but from all possible angles, because it is not bound by any system. And, consequently, its techniques cannot be reduced to a system. And, although it utilizes all ways and means to serve its end (efficiency is anything that scores), it is bound by none, and it is therefore free from all ways and means. In other words, JKD, although possessed of all angles, is itself not possessed; for as previously mentioned, any structure, however efficiently designed, becomes a cage if the practitioner is obsessed with it. To define JKD as a style (gung fu, karate, kickboxing, and so forth) is to miss the point completely, for its teaching method cannot be reduced to a system. If JKD is not a style or a method, maybe it is neutral or maybe it is indifferent. However, this is not the case either, for JKD is both at once “this” and “not this”, and JKD is neither opposed to styles nor not opposed to them. To understand fully, one must transcend the duality of “for” and “against” and look at one organic whole. Within the totality there is simply no distinction; everything IS. A good JKD artist rests in direct intuition. Artist of Life, Bruce Lee. “Basically, I have always been a martial artist by choice and actor by profession. But, above all, I am hoping to actualize myself to be an ‘Artist of Life’ along the way”. “Artist of Life” refers to the process of being an individual who, through the use of his own independent judgment, sought to fully actualize himself as a total human being (i.e. physically, mentally, spiritually). Lee once told a journalist, “It is easy for me to put on a show and be cocky and then feel pretty cool. Or I can do all kinds of phony things and be blinded by it. Or I can show you some really fancy movement. But to express oneself honestly, not lying to oneself – that my friend, is very hard to do” – Bruce Lee.